Febrile seizures, sometimes called a fever fit or convulsion, are diagnosed in children under six years of age who experience a sudden rise in body temperature of about 102F. This would occur when no other cause for the seizure is indicated and there hasn’t been a fever for a prolonged time. After other causes are dismissed, the diagnosis of febrile seizure is clinical. 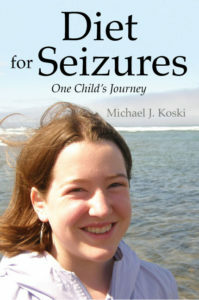 Treatment for seizures lasting less than fifteen minutes is supportive. Those lasting longer than fifteen minutes may be treated in various ways. One alternative that has been used is ACTH. ACTH is an adrenocorticotropic hormone—HP Acthar gel. Questcor Pharmaceuticals manufacture it. It’s used in the treatment of infantile seizures and it’s administered by intramuscular injections. Unlike other medications, ACTH is only used for two to twelve week periods depending on the response of the seizures. The adrenocorticotropic hormone (ACTH) is made in the pituitary gland in response to the release of corticotropin—releasing hormone (CRH), by the hypothalamus. In turn the adrenal glands make cortisol, a hormone which helps manage stress. This hormone is vital for life, so levels are monitored in situations where its effects are indicated. When it rises, ACTH drops. When cortisol drops, ACTH rises. Both levels of cortisol and ACTH change throughout the day. Because they’re released into the bloodstream in bursts, an endocrinologist should be monitoring the levels. When a child is experiencing febrile seizures HP Acthar gel (the manufactured ACTH) is injected into the muscle. The reason why this treatment has a positive effect on these seizures isn’t completely understood. What is the history of ACTH? In 1949 ACTH was discovered by a Chinese research investigator when he extracted a chemical from parts of a ruptured ACTH molecule. As research and development of this hormone developed (the hormone was obtained from hogs), ACTH was hailed as a “wonder drug”and “a miracle hormone”. It was tried on patients with rheumatic fever, arthritis, gout and cancer, among other maladies. By 1958 the excitement had died down as to its miraculous potential. But it’s been used for decades to treat infant febrile seizures and continues to be used on a limited basis for this type of seizure. What are common side effects of ACTH? Most children gain weight and may retain excess fluid while they are taking ACTH, indicated by facial puffiness. Once the treatment stops, the weight will be lost. Other side effects can be increased irritability with crying and inability to sleep. More rare, but possible side effects can be heart failure, calcifications of kidney and pancreas, high blood pressure, increased rate of infections and blood glucose. Children receiving this treatment should have blood pressure, weight and serum electrolytes monitored frequently. What is the average dosage and cost of ACTH? There is no universally agreed upon dosage for ACTH. It’s been suggested that more positive results occur when it’s administered in the evening, from 6pm to 8pm. One microgram is the lowest dose causing maximal cortisol response. Another therapy used 40 International Units for one month, then tapered it by 10 IU’s each week. The cost of ACTH has increased exponentially. In 2007 a vial of the hormone jumped from $900 to $23,000. Some insurance companies may help cover the cost, and contacting the manufacturer, Questor, may be advantageous. While ACTH isn’t FDA approved, it is used in other countries, including the UK.